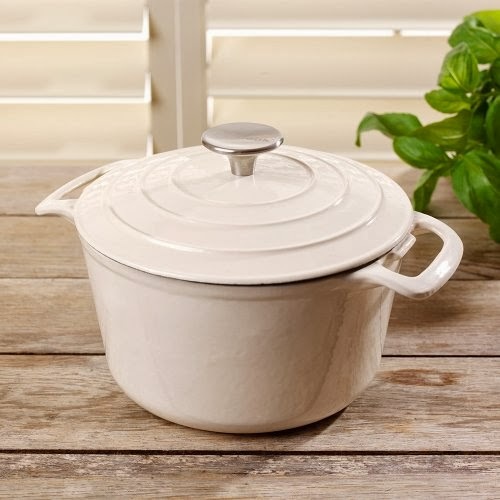 A gorgeous 23cm round cast iron casserole from ProCook. I've been using this casserole, as you see above and I love it. I already have a large pale green oval Le Creuset, an orange round Le Creuset Casserole and a large turquoise shallow casserole from Denby. Yes, I like a bit of colour in my kitchen. 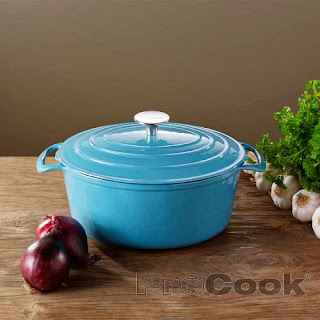 The ProCook casserole compares well Le Creuset. It's a joy to use. The cooking is even and all the pots in the range have the creamy white interior that is such a pleasure to cook in. It says it is not recommended for dishwashers, but it cleans up a treat, so that is no problem. The high street price of this casserole is £84, but ProCook's special online price is only £42. Enter my giveaway and you could have one for free and choose the colour.. There's a choice of burgundy, turquoise, cream, grey black and red. Would you like to win a cast iron casserole? To enter, simply leave a comment telling me what colour you would choose. There are 8 opportunities to enter. Ooooh! I love the turqoise! Such a vibrant colour! Thanks for the wonderful Christmas giveaway! I would like a red one to go with my red pans! The turqoise is so lovely, I'd keep it on show. I'd choose red for sure - it's my favourite colour! I would pick the cream one. Definitely the turquoise blue - reminds me of Mediterranean cities by the sea! Burgundy is my favourite colour at the moment! I'd love a red one so I can possibly get my husband to change the whole kitchen to match it!! Blue one for me please as my wife already has a red one and I need something more manly! Turquoise is lovely, will brighten any kitchen! thank you so much! I would go for the cream one. They are all fab, but I think I would choose red. The turquoise one is very nice. I think I would go for Burgundy - but I love lots of different colours so I would be happy with any of them. I really like the RED one, this is just what I need as I have broken one of the handles on mine. The turquoise I think as it would go really well with my newly redecorated kitchen! I would love it in red!! Burgundy would be lovely, please. This would be amazing for when I leave home. I need to start getting things together. Ooo the red is lovely! I'd plump for the turquoise. I would love the turquoise it's my favourite colour. Actually any colour would be great but cream would go with my kitchen!! White shows the food up beautifully so I would go with white. Oh red for me please, to go with the rest of my kitchen. Don't have a casserole of any description, so it would be a grand prize to win. I love the burgundy one! cream would be my choice. I would love the turquoise one. Cream one would be ace in my kitchen. A red one would be good. Ooooo I'd love a grey black one to go with my dark purple kitchen everything! To be honest i would love any colour but i think i like the cream best. I would love the turquoise one, to contrast with the food inside it. Red please! I've wanted one of these since I was wee! 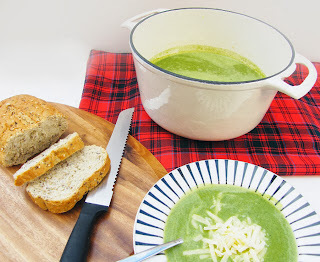 Red please; I've wanted a casserole like this since I was wee! The turquoise one is lovely! I would love the burgundy! It suits my colour palette fabulously! The burgundy is really classy, great competition. Thanks! I agree, the Cream looks nice! Turquoise as my kitchen is about to be painted that colour! thanks for competition! I'd for for cream but any of the colours would suit me! I'd choose white or cream. burgundy, but they're all great.